Action clock concept has been implemented in the World Poker Tour season this time. It is the sixteenth version of this tournament and the events are coming to an end by the end of August 2017. 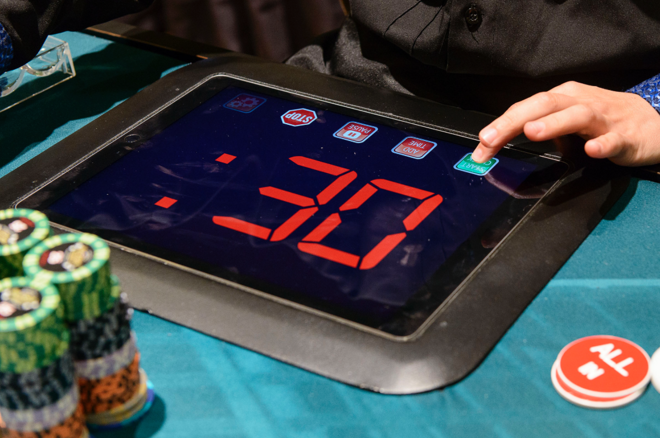 As the new season was started on the World Poker Tour, the authorities announced that there would be a 30 second action clock that would be used in the Main Tour events. This is a new rule having been added and it will be used in WPT Choctaw and will continue till the end of the season this year. This is the first time that the action clock concept has been implemented. It was also introduced in 2016 in WPT Tournament of Champions. This year it remains as a key feature of the Main Tour Events. It would remain applicable till the tournament is concluded. Players would be limited to 30 seconds within which they need to take action. They would also be eligible for time extension chips. These will help them to get more time to think about their moves when the game becomes more difficult in the later stages. The clock concept was introduced to make the pace of play speedier in WPT events. This makes the money bubble as well as the pay jumps exciting and fast paced. It has been debated for quite some time that players often stall which is a technique they use, but it proves to be disruptive and slows down the pace of events and makes them boring to watch for the fans and spectators. With the implementation of the Action Clock in the World Poker Tour, it might be a trend that would see usage in other poker tournaments as well. It would certainly make main event games more fast paced and thrilling to watch for the fans.